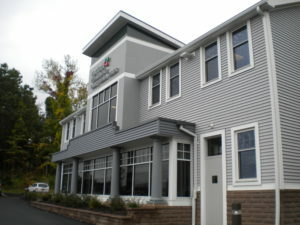 Hartford HealthCare Family Health Center, Southington, CT – 39,956 sf, 3-story facility. 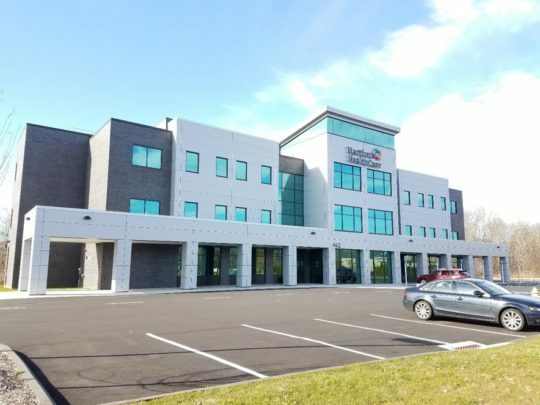 Concord assisted with the core/shell development structuring and provided project management services for all of the interior fit-out of tenant suites for Hartford HealthCare. These included Healthy Aging, Hospital of Central Connecticut Rehabilitation Network, Ayer Neuroscience Institute, Hartford Hospital Session space, HHCMG-Cardiology, HHCMG-Primary Care, and HHCMG-Endocrinology. Hartford Hospital Family Health Center, Vernon, CT – conversion of 30,000 sf former Stop & Shop retail store into a multi-program ambulatory care center. 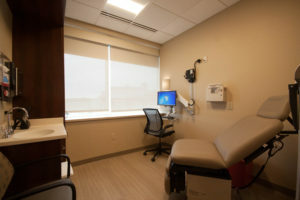 The facility includes suites for Primary Care, Wellness Center, Imaging, and Neurology. Concord provided full project management services for the conversion and interior fit-out. 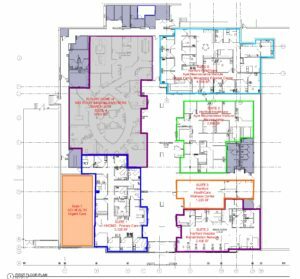 Hartford Hospital Family Health Center, Vernon, CT – Floor plan for tenant suites fit-out for Primary Care, Wellness Center, Imaging Suite, and Neurology Suite. 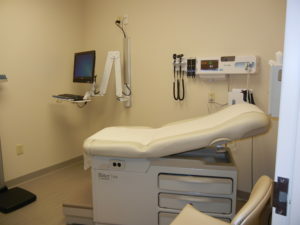 ANI Headache Center, West Hartford, CT – Typical exam room. Concord provided oversight of the interior fit-out of 7,000 sf for the Headache Center in a non-Hartford HealthCare multi-tenant building. 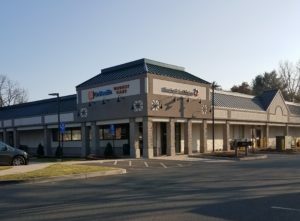 Hartford HealthCare – GoHealth Urgent Care, Avon, CT – 4,500 sf fit-out conversion of an existing Rite Aid into an Urgent Care and Imaging Center. 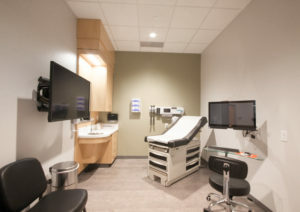 Concord provided full project management services for the renovation which included 8 exam rooms, 1 procedure room, future imaging suite and modifications to the exterior façade. 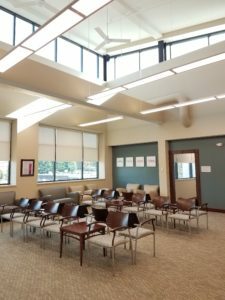 Hartford HealthCare Family Health Center, Farmington, CT – Concord provided project management services for the interior fit-out of 7,500 sf for the Primary Care and Urgent Care Center and for 5,000 sf for rehab services. The scope of services also included renovations to the exterior to match HHC branding. 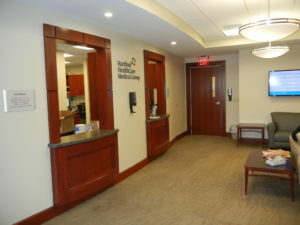 Hartford HealthCare Medical Group, Storrs, CT – Pictured is the reception / waiting area. 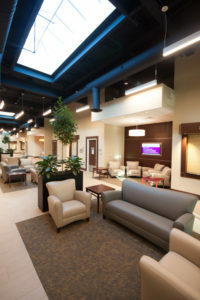 Concord provided project management services for the interior fit-out of 7,500 sf of Primary Care and Urgent Care space, including X-ray and 15 exam rooms.